Terrorism is a centuries old problem, which has evolved with time. Likewise, the methods terrorists use to finance their plans have evolved with time and technology. 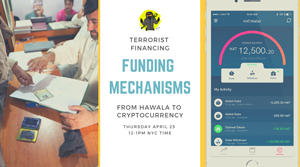 Whether it’s hawala or virtual currency; cash or Bitcoin; mechanisms used to fund terrorism are ever-changing. The one constant is that terrorists require funds to sustain their operations. They will take advantage of every funding source and every funding mechanism they can to gain access to finances. This compelling session will discuss a variety of terrorist financing mechanisms and how they have evolved in 2019 to facilitate terrorist operations. The webinar will discuss historic, current and emerging terrorist financing mechanisms. It will also discuss how to penetrate and disrupt these methods of terrorist financing through case studies, typologies and best practices. Sign up today! Tell your friends, clients, customers and colleagues about it. NoMoneylaundering webinars conduct audience polls that will give you vital benchmarking data so you can measure your anti-money laundering compliance against others. Registered attendees will receive a Certificate of Attendance to demonstrate required AML training to auditors, and regulators. Mr. Lormel retired from the Federal Bureau of Investigation (FBI) in December 2003, having served 28 years as a Special Agent. During his distinguished career, Mr. Lormel amassed extensive major case experience as a street agent, supervisor and senior executive, particularly in complex, document and labor intensive financial related investigative matters. In December 2000, Mr. Lormel was promoted to Chief of the FBI’s Financial Crimes Program. Immediately following the terrorist attacks of September 2001, Mr. Lormel formulated, established and directed the FBI’s comprehensive terrorist financing initiative. He developed and implemented a variety of proactive and progressive investigative methodologies. These efforts evolved into the formation of a formal Section within the Counterterrorism Division of the FBI, known as The Terrorist Financing Operations Section. This multi-agency, multi-disciplined entity attained international recognition as one of the world’s elite operations for tracking, investigating and disrupting terrorist-related financial activity. For his visionary contributions, Mr. Lormel received numerous commendations and awards to include the Award for Investigative Initiative, from the U.S. Department of Justice and the George H. W. Bush Award for Excellence in Counterterrorism, from the Central Intelligence Agency. 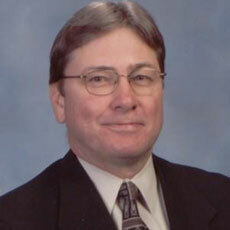 Over the last 14 years, Mr. Lormel has provided risk advisory consulting services. He is the founder and President of DML Associates, LLC. Mr. Lormel provides consulting services and training related to terrorist financing, money laundering, fraud, financial crimes, suspicious activity and due diligence. He also offers financial intelligence services through case studies and trend analysis. Mr. Lormel has shared his insight on terrorist financing and money laundering, both domestically and internationally, through speaking engagements at hundreds of conferences, as well as through news media interviews. He served as an Advisor to the Congressional Anti-Terrorist Financing Task Force in 2005 and 2006. Mr. Lormel was presented with the 2010 Association of Certified Anti-Money Laundering Specialists (ACAMS) Volunteer of the Year Award and currently serves as a member of the ACAMS Advisory Board. Mr. Lormel is also a Board member for the West Coast AML Forum and an Adjunct Professor, in the Master of Arts Program, for Financial Integrity, at Case Western Reserve University. This Live Webinar is Included in the NoMoneyLaundering.com Membership. NoMoneyLaundering.com Members will receive an email with log in details one day before the Webinar. These are also posted on the NoMoneyLaundering.com Platform. After the Live Webinar, NoMoneyLaundering.com Members can also view this webinar on-demand on our Platform.